Member of the Società Italiana di Biofisica e Biologia Molecolare/Federazione Italiana Scienze della Vita (SIBBM/FISV). 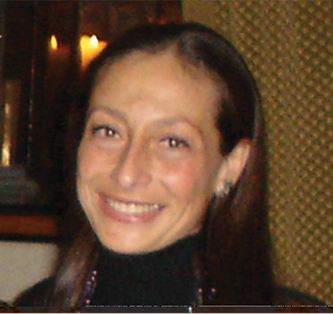 Member of the Associazione Italiana Biologia e Genetica Generale e Molecolare (AIBG). Member of the “European Association for Cancer Research” (EACR). 1990: Consiglio Nazionale delle Ricerche (National Research Council) (CNR), fellowship. 1990: Società Italiana Biofisica e Biologia Molecolare (Italian Society for Biophysics and Molecular Biology) (SIBBM), thesis award. 1998: Consiglio Nazionale delle Ricerche (National Research Council) (CNR) grant for a project entitled "Inibizione dell'angiogenesi e interferenza con la crescita tumorale: modelli in vitro e in vivo e analisi dei meccanismi molecolari" (Angiogenesis inhibition and impairment of tumor growth: in vitro and in vivo models and study of the molecular mechanisms). Role: Principal Investigator. 2000: University of Rome Tor Vergata grants for young researchers for a project entitled "Uso di ribozimi contro il VEGF per inibire il potenziale neoangiogenico di linee cellulari di tumori cerebrali e ridurre la crescita tumorale in vivo" (Use of anti-VEGF ribozymes to inhibit the neoangiogenic potential of brain cancer cell lines and to reduce the in vivo tumor growth). Role: Principal Investigator. 2000: Consiglio Nazionale delle Ricerche (National Research Council) (CNR) Agenzia 2000 grant for a project entitled "Uso di ribozimi contro il VEGF per inibire il potenziale neoangiogenico e ridurre la crescita di tumori cerebrali in modelli animali" (Use of anti-VEGF ribozymes to inhibit the neoangiogenic potential and reduce glioblastoma growth in animal models). Role: Principal Investigator. 2002: FIRB-MIUR grant for a project entitled "Reelin: meccanismo di azione e funzione nella plasticità sinaptica" (Reelin: working mechanism and functions in synaptic plasticity). Role: Associated Investigator. 2006 – 2007: Italian Ministry of University and Scientific Research (MIUR) grant. Project entitled “Effetti dell’espressione di reelina sulle proprietà di cellule staminali neurali murine” (Effects of Reelin expression on the properties of murine neural stem cells). Role: Principal investigator. 2006 – 2008 : Italian Ministry of Health (Ministero della Salute) # 527B/2B/1.2 grant. Project entitled “Caratterizzazione dell’espressione di microRNA in sottopopolazioni cellulari di glioblastoma multiforme” (Characterization of microRNA expression in specific cell types in glioblastoma multiforme). Role: Co-investigator. 2008 – 2011: PRIN # 20077YZTL8_002 Italian Ministry of University and Scientific Research (MIUR) grant for a project entitled “Ruolo dei microRNA nel differenziamento neuronale e nello sviluppo dei glioblastomi” (Role of microRNAs in neuronal differentiation and in glioblastoma development). Role: Co-investigator. 2012 - 2013: Fondazione Umberto Veronesi grant for a project entitled “CLIC1 (Chloride intracellular channel 1) as a possible prognostic indicator and therapeutic target in glioblastoma”. Role: Associated investigator. S.A. Ciafrè coordinates a group of researchers with background in biochemistry and in molecular and cell biology that has acquired extended expertise and international qualification on the study of different aspects of glioblastoma biology. In 2004, S.A Ciafrè started to study microRNA expression in glioblastoma, thanks to a collaboration with Prof. Carlo Croce, at the Jefferson University of Philadelphia, USA. The data obtained by S.A. Ciafrè in Prof. Croce’s lab, confirmed and extended in Rome at the University of Tor Vergata, were published as the first example of an extensive study of microRNA differential expression in glioblastoma patients’ samples and cell lines. A further collaboration, with Dr. R. Agami, in Amsterdam, The Netherlands, has produced new data about the involvement of miR-221/222 in glioblastoma multiforme. At the same time, the role of miR-221/222 in cellular models of prostate carcinoma has been elucidated in SA Ciafrè’s lab by the discovery of p27 as a direct target of these two microRNAs, strongly affecting the proliferation of PCa cells. Furthermore, S.A Ciafrè’s group demonstrated the feasibility of the in vivo inhibition of miR-221 and miR-222 via antagomir transduction in PCa xenografts. S.A. Ciafrè took also part in a project of microRNA characterization of a large cohort of neuroblastoma samples resulting in the definition of specific microRNAs as novel prognostic markers. More recently, S.A. Ciafrè’s group published a work about a deep characterization of glioblastoma samples RNA expression, paving the way to novel studies on the different cell components of this heterogeneous and deadly tumor.